XPEL Ceramic Coating NOW AVAILABLE! XPEL FUSION PLUS Ceramic Coating is a nano ceramic clear liquid coating that can be applied to paint, glass, vinyl and paint protection films, which provides a fortified layer of vehicle protection. Bonding at a molecular level, the ceramic coating seals and protects vehicle surfaces from environmental contaminants, including pollutants, tree sap and insect acids. XPEL FUSION PLUS shields against harmful UV rays and corrosion. In fact, it helps to reduce the amount of oxidation, which can result in dull, fading paint. Using a hydrophobic formula, XPEL FUSION PLUS boasts self-cleaning properties to repel water, dirt and grime. It is scratch-resistant and helps protect against swirl marks and minor wash scratches to maintain a sleek, high-gloss finish. 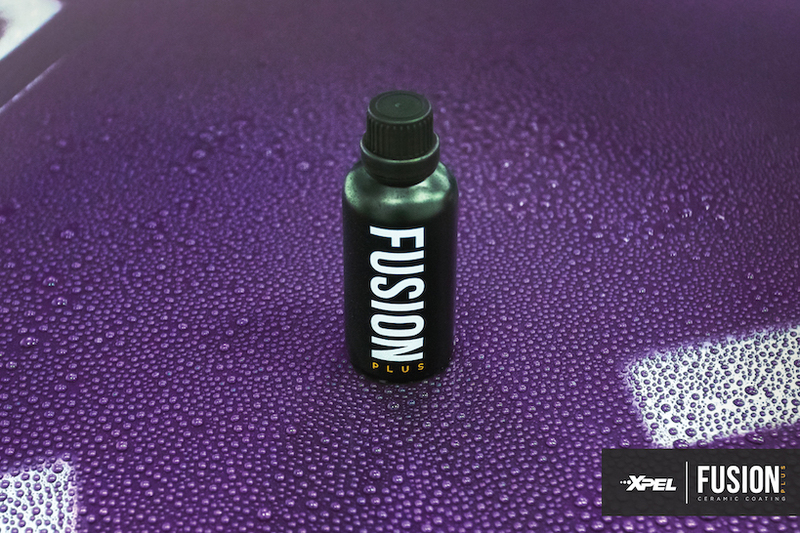 FUSION PLUS ceramic coating is available now through the XPEL installer network. FUSION PLUS carries a comprehensive warranty package for four (4) years from the date of application, upon registration and when maintained in accordance with warranty terms and conditions. XPEL FUSION PLUS ceramic coating does not protect against rock chips. This product is intended to be professionally applied and is compatible with vehicle paint or XPEL paint protection film, as well as vinyl wraps and graphics. Wish you success with new product. Big fan of Xpel. Little confused, ad mentions the product protects paint. Isn’t it really more to protect the film? TIA. Thank you very much for your support! So yes, the product can do both. It can be applied on top of film or on top of paint. Whichever surface it's applied to, its protecting. Quick Reply: XPEL Ceramic Coating NOW AVAILABLE!